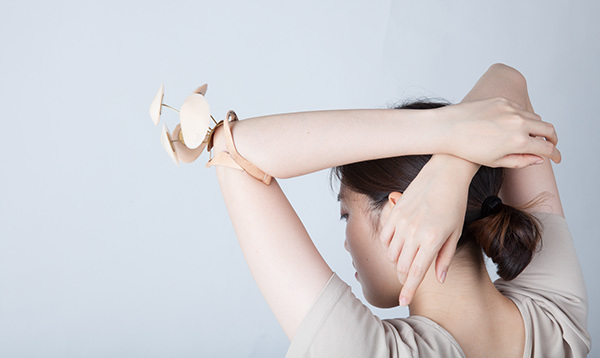 This project was to create a jewelry emphasizing one part of a body. I was inspired by my own experience when I feel embarrassed showing my wrinkly and tinted elbows to others and always try to cover them. 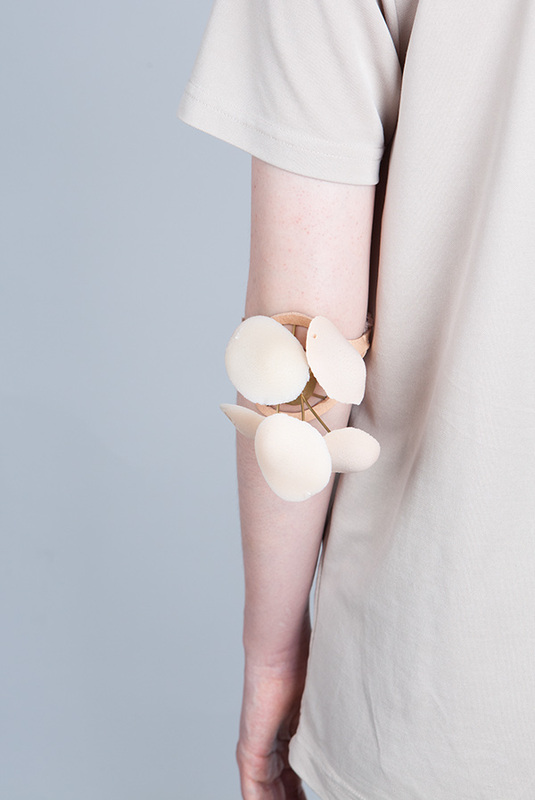 I created a piece that hides an elbow with cast resin replicas in a paradoxical sense. While hiding the real body part, it emphasizes the elbow by creating a physical space around the body.